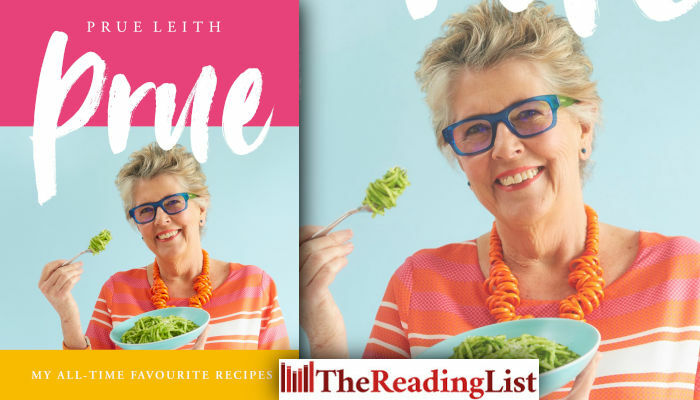 Prue: My All-time Favourite Recipes – Great British Bake Off judge Prue Leith draws on a lifelong passion for food with 100 recipes from her own kitchen table. This is Prue’s first cookery book in 25 years, and she has woven intimate and witty stories from her life around many of the recipes. Celebrating the food we all want to make at home, Prue gives an unparalleled view into the cooking life and style of one of the nation’s best-loved cooks. Prue Leith has been at the top of the British food scene for nearly 60 years. She has seen huge success not only as founder of the renowned Leith’s School of Food and Wine, but also as a caterer, restauranteur, teacher, TV cook, food journalist, novelist, and cookery book author. She’s also been a leading figure in campaigns to improve food in schools, hospitals and in the home. Well known as a judge on The Great British Menu, now she is a judge on the nation’s favourite TV programme, The Great British Bake Off. Prue was born in South Africa and lives in the UK.